Donald Sterling, the owner of the Los Angeles Clippers has been banned for life by new NBA commissioner Adam Silver. 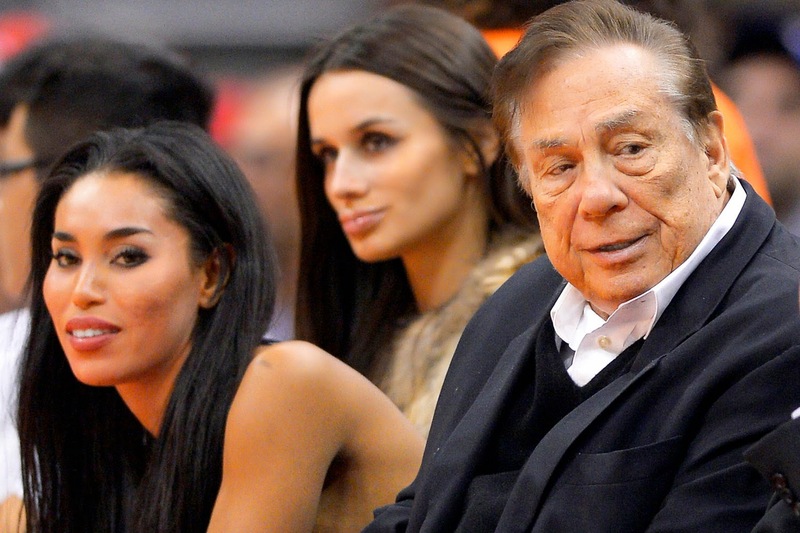 The severe punishment was in response to the racist comments Sterling made to his mistress in a recorded conversation obtained by TMZ.com. Of course Commissioner Silver will do whatever he needs to in order to get Sterling to sell the Clippers franchise. In addition to the lifetime ban, Sterling was also fined $2.5 million by the league. (The fine will be donated to organizations dedicated to anti-discrimination and tolerance efforts that will be jointly selected by the NBA and the Players Association.) Sterling was born with the last name Tokowitz, which he changed in the early 1960s. His parents were Jewish immigrants in Chicago who had fled Eastern Europe. I've been following this story since the release of the audiotape -- both as a fan of NBA basketball and as a Jewish leader. What I've been hearing from Jewish people are two different reactions. One is that we shouldn't focus on the fact that Donald Sterling is Jewish. The second reaction is that the Jewish community should issue a statement against racism of any kind and denouncing Sterling's comments. I happen to disagree with the first reaction. It most certainly does matter that Sterling is Jewish. You see, we Jewish people believe that we are commanded to be a "Light unto the nations." And just this past Shabbat we read in the Torah portion called Kedoshim that we are a holy nation. That doesn't mean we see ourselves as somehow superior that other people, but rather that we have a responsibility to always strive to be ethical and set a good example. Sterling clearly failed in that regard. To make matters even worse, news came out yesterday that Sterling used Israel as justification for his racist comments. He told his mistress that in Israel "the blacks are just treated like dogs." So, Sterling isn't just giving American Jews a bad name, but also unfairly tarnishing Israel's reputation on race relations. On Sunday night my wife and I watched the film "The Butler" starring Forest Whitaker and Oprah Winfrey. The film really made me question how such overt racism could have occurred in our nation only fifty years ago. But then I thought about Donald Sterling and I was reminded that ignorant hatred is alive and well. Regardless of how big the NBA players' salaries are, we must all question the relationship that Sterling believes he has to the players on his team. No matter how well compensated they are, does Sterling feel like he is the owner and they are simply dribbling, passing and shooting a ball to make him rich instead of picking his cotton? This was Commissioner Adam Silver's first big test since taking over the reins of the NBA from David Stern and I believe he handled it very well. The lifetime ban was the right decision and hopefully this will be the last we have to hear about Donald Sterling and his racist views. "we Jewish people believe that we are commanded to be a "Light unto the nations." And just this past Shabbat we read in the Torah portion called Kedoshim that we are a holy nation. That doesn't mean we see ourselves as somehow superior that other people, but rather that we have a responsibility to always strive to be ethical and set a good example"
So, are you implying that non-Jews do not have a responsibility to strive to be ethical? I vote Donald Sterling back in and forgiveness and understanding is the KEY ...Not lynching a human being. We are no better than the very Media that posts and exposes and instigates. I remember the day this came on the news, the very first comment was that he was Jewish. What does that matter> What did he say so terrible. I do not see color. I can have a view !